Have you tried to ignore the world and forget everything. Have you? I know that I'm a happy now despite all of things that already happen in my life from the past. Right now I just want to be happy. no hurt no pressure and just flow me on the weather. Yes I do. I've became numb and I really don't why. Okay this is part of my confession I want to confess something. I love to be Lonely. For the past many years my relationship is not gonna work.I keep my life busy going to work everyday and spend time to watch concerts and going travel makes me happy. I don't really care about what other people say's about me. I'm just focused more on how can my life be wonderful and enjoy myself. Yah! there are times that I just asking myself why I'm still single "Yung grabeh araw araw nalang na iniisip mo hindi ka talaga pinag pala sa pag-ibig ganon!" Well I think there's a purpose and It takes time to answer my prayers so I stop overthinking and expected things. "Kailangan mu lang talaga manalig sa kanya" Anyway right now I'm so happy to be alone because I don't feel any stress. However my happiness makes me being a selfish and self seeking so what's going on? I'm starting loving myself in way of I learned to respect and care about myself. I decided to change my heart. before I'm easily to fall with someone else. because I know I feel loveless. feeling of I need someone who can loves me and give me an attention. I'm so jealous to those people have their love ones. They give a lot of effort to impress their love ones. Exchanging love letters, holding hands while walking, bouquet of roses and teddy bears. " Ang saya siguro pag ganon no?" Why I' am telling this because I've never been that as in never. I am the person who always support my friends to their love ones. I'm always being part of third wheel. "Yung tipong ikaw yung taga ayiiiieee tapos kinikilig ka nalang sa kanila. Tapos may mga times pa na ayun ikaw pa yung nagiging tagapayo ganon!" but despite all of that. I'll remain enthusiastic and supportive. Anyway moving forward. of course you never find love if you never start loving yourself. Most of people asking how did you know if you love yourself? Love yourself starts in when you already accept about. The person that you expected is never been yours. This is one of my writing titled. Sulat para kay Someone. When you feel happy without any love one. When you already learned on how can you trust yourself. and always confident for who you are.I don't want to seek their attention to catch me up. "Ako yung tipong taong ipapakita ko kung ano ko" I learned to let go find peace and liberate myself. I learned to forgive to those people who hurt me most. because we all know. Forgiveness is for you and about you too. because Love is always starts from you. I believe if you keep your faith, you can keep your trust. respect yourself enough to walk away from anything that no longer serves you, grows you or makes you feel happy. for short accept yourself and value yourself. Right now It's time to change my Heart. My heart will be stronger because of my hard times, my mistakes and my sad experience. I just try to keep my heart open. and release my all doubts in life. I will face whatever comes today with a positive attitude. "Hindi na ako magiging marupok beshhyy kahit na kailan!" "I've been trying to run away from this false reality. to find you and make you happy. No matter how things beautiful still it has ended. I gave my love because I know you're my hope. I always look your picture in the internet to made my day wonderful. I know your eyes were full of regret Thinking that I'm full of diseases. Now I'm awake for the goodness sake. Now it's my time to depart and I just had a change of heart." Yes exactly! We learn from hard times and grow from them. So important to use that as our platform to move forward. Beautiful post! You're definitely right. You really have to love and invest in yourself first. self-care is important. This is a beautiful and thoughtful post! It is so important to love and value yourself, everything else will follow! What a beautiful way to express... I love reading it and can relate to it completely. A very motivational and inspiring post. Self respect, self love and positive attitude, all the three are very important to kerp going well in life. Sometimes it can be hard to love ourselves, but it's so important. Whether in a relationship or not I feel like it's something we can all benefit from. Beautiful thoughts - I love being married and having a best friend, but I know that I would still be pretty happy and content if I were single. It's so important to have that as a basis and not expect your partner to fill that void. 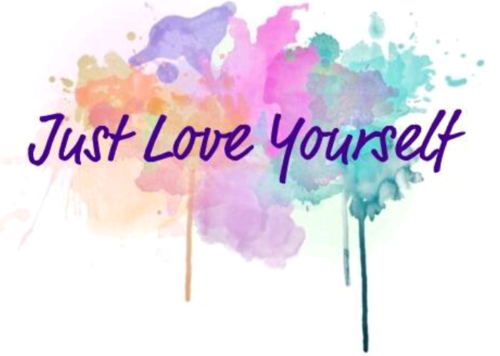 I agree that you have to love yourself before others start loving you! However, don't have so high expectations! Love is not about writing letters, giving teddy bears or bouquets of flowers. That's only in movies! Definitely always have a positive attitude about everything including love. I agree to love yourself first and it is not selfish at all. We have to take care of ourselves before taking care of others. Beautiful post. This is such a lovely and moving post and definitely something we should think about and work on! This is such a reminder that you really need to love yourself. This is great! It's wonderful someone who feels the same way as I do. Love yourself always! Good post! You can't truly love anyone else until you love yourself. And remember to enjoy the process of finding that love -- no pressure! I connected to your post on a personal level. It’s so important to invest time to nurture the relationship you have with yourself first. Also the point about forgiveness is so true but so hard to do. I relate to this for sure. I love spending time in my own company! Thank you for sharing, it is extremely important for individuals to focus on themselves too. It's sometimes hard being a mother and finding time for myself but I try to make it a priority. Nice insightful post. I too agree that Love yourself starts in when you already accept things about yourself and your surroundings. It also a great way to channel happiness! an of course value yourself! This is beautiful! I agree that we need to accept ourselves first before we can love fully. All the flaws and imperfection, everything about us. I love the idea of investing in your mind :) you have to invest in yourself first or else you will have nothing to give others. Thanks for sharing! This is totally true! You have to love yourself in order to love others. The only way that you can be the best you is invest in yourself. This was very nice! Such a wonderful and inspiring reading! I love to be lonely too because I can keep the best company to myself, I am introvert you see. Loving ourselves first always help us to love our friends and family as well. Relate to you on so many levels. I like staying alone too. Spending time with myself is therapeutic for me! This is motivational and inspiring post, prefect for Monday. The most important is to love yourself! It’s so important to invest time to nurture the relationship you have with yourself first. You need to love yourself before loving someone else. I totally loved your post, thanks for sharing..!! Wonderfully written and so true. Sometimes we focus too much on trying to get others to love us and we don't even have love for ourselves. Yes. As you say its important to respect and care about oneself. only then can we truly feel confident and deal with anything! Beautiful,honest, and thoughtful post! It is hard to love yourself at first due to old habits. But, if you continue little by little, you can start to love yourself through small actions. Loving ourselves is the first step to freedom and happiness! I totally agree with you. Loving yourself is the most important thing in life, more than loving anyone else. Only a happy soul can spread love and happiness. you rock girl! I agree! Self care/love is sooo important! We are going to be more confident and get more accomplished when we take care of ourselves! Thanks for sharing your thoughts. Many people are always looking for another person to meet their needs. That really doesn't happen. Frankly I believe that only God can meet our needs. Time will come, you gonna meet you're love one. "Go lang beshyy <3"
I must admit, I am always alone but hey I am never lonely and for 3 years now I have been travelling within Southeast Asia. Thanks for your post! As a mom I stopped thinking about self care, until I was so exhausted with everything I hospitalized. Then I started a self care routine and started added thing I enjoy to my routine. I started investing in myself and I have been overjoyed since. Life lessons are learnt through different means....one should accept the situation...be in love with yourself and be creative...you may be alone but never lonely.. It's so true that we need to learn to love and accept ourselves if we want to have healthy relationships with others. People tend to back away from people who are needy and unhappy all the time. Respecting yourself shows others that you value who you are and they need to follow suit.